President Goodluck Jonathan Tuesday launched the Nigeria Industrial Revolution Plan (NIRP), and National Enterprise Development Programme (NEDP). 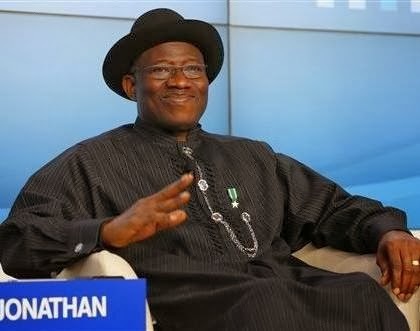 The goal of‎ Nigeria Industrial Revolution Plan (NIRP), according to Jonathan, was to increase the contribution of manufacturing sector to Gross Domestic Product (GDP) from the present 4 per cent to more 10 per cent over the next five years, with annual revenue earnings expected to hit N5 trillion per annum. “NIRP is the flagship industrialisation programme ever embarked upon by this country. It will fast-track industrialisation, accelerate inclusive economic growth, job creation, transform Nigeria’s business environment and stop the drain on our foreign reserves caused by importing what we can produce in locally. “The Nigeria Industrial Revolution Plan is the most ambitious and comprehensive industrialisation programme because it is based on the areas where Nigeria has competitive and comparative advantage such as agriculture and agro-products, metals and solid minerals, oil and gas, construction and light manufacturing services. It has identified those sectors where Nigeria can be number one in Africa and top 10 globally,” said Jonathan. Jonathan further stated that NEDEP, as fashioned by the federal government, would help reposition the MSME sector as the major driver of job creation and inclusive economic growth. “The NEDEP is designed to develop and grow the Micro, Small and Medium Enterprises because all over the world, the MSMEs are primary drivers of employment. With the successful implementation of the National Enterprise Development Programme, Nigeria will attain her dream of inclusive economic growth. “A survey conducted by the Small and Medium Enterprises Development Agency of Nigeria and the National Bureau of Statistics in 2010 showed that we have about 17 million MSMEs, employing over 32 million people. If each of these 17 million MSMEs employ additional one person, we will create additional 17 million jobs thereby reducing employment in our country,” the president said. Speaking further, Jonathan said; “The NIRP and NEDEP will give additional impetus to our Transformation Agenda by ensuring value addition, enterprise development and industrialisation. On our own part, the Federal Government will continue to support local manufacturers by buying vehicles that are made in Nigeria. “And as long those vehicles are produced in this country, the Federal Government will buy them. So we also encourage the state governments to support the patronage of made in Nigeria products in their states,” the president said.